What is the gift tax? How much can I gift without being subject to gift tax? How much can I gift during my lifetime? Just because the IRS allows you to make a gift, does NOT mean that Medicaid will allow the gift. Thus, if you are concerned about the possibility of future nursing home costs, you should consult with an elder law attorney before making major gifts. For Medicaid eligibility of help with nursing home bills, there are significant penalties for gifts made within 5 years of needing nursing home care. To read more, check out The Ultimate Guide to Paying for Nursing Home Care in North Carolina. We still frequently meet with people that are working off of outdated advice. A long time ago their tax preparer advised them to make annual gifts to their family members in order to reduce the overall size of their estate and minimize potential estate taxes upon their death. The reality is that for many, this is no longer necessary (see below) and potentially can backfire dramatically if you eventually need nursing home care (see trap #1 above). 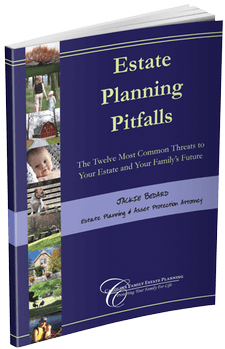 If part of the process of making your gift involves liquidating an asset that has significantly increased in value since you purchased it--for example, a house or a stock portfolio--you may be subjecting yourself to capital gains taxes that could be avoided if the property conveyed through your estate planning instead. If any of these concerns apply to you, you owe it to yourself to contact an attorney--one with extensive experience with Estate Planning and Elder Law matters in your state. The gift tax is a tax on the transfer of assets from one person to another. The gift tax is a tax that is paid by the gift giver (referred to as the “donor”) rather than the gift recipient (referred to as the “donee”). Also, a gift does not constitute income for the recipient and is not subject to income tax. What Is the Annual Gift Tax Exclusion Amount? The gift tax law provisions for an annual gift tax exclusion—i.e., an amount that you can give away per person, without having to file a gift tax return or owing any gift taxes. As of 2019, the annual gift tax exclusion is $15,000 per person, per year (and the law provides that it be increased periodically to keep up with inflation). So, for example, if you are a parent with three children, you could make a gift of $15,000 to each child and not owe any gift taxes. Furthermore, if you are married, a husband and wife can agree to “split gifts”—i.e., half of the gift will be allocated to each spouse. So, for example, if you are married and have three children, if your spouse agrees to gift splitting, you can gift up to $30,000 per child and it does not matter whether the assets came just from you or from both you and your spouse. What Is the Lifetime Gift Tax Exclusion Amount? In addition to the annual gift tax exclusion, there is also a lifetime gift tax exemption. Note that while the annual exclusion is per donee (i.e., gift recipient), the exemption is per donor—in other words you, as the gift giver, only receive one lifetime exemption. The lifetime gift tax exemption and the estate tax exemption are linked together, such that if you use a portion of your lifetime gift tax exemption, your estate tax exemption will be decreased dollar for dollar. In 2019, the lifetime gift tax exemption and estate tax exemption are both $11.4 million (though this is set to expire on December 31, 2025 and is always subject to change by Congress. The tax rate on gifts above $11.4 million is 40%. For example, if your total estate is $12.4 Million, your estate tax exemption can be used to shelter the first $11.4M from estate tax (assuming you didn’t use your exemption during lifetime—see below). The remaining $1M would be taxed at 40% resulting in a $400,000 estate tax bill. Does North Carolina Have a State-Level Gift Tax or Estate Tax? No. North Carolina repealed the state-level estate tax effective January 1, 2013.